Above: 1975 Suzuki XR14 as used by Barry Sheene at Assen/Goodwood and Monthlery. 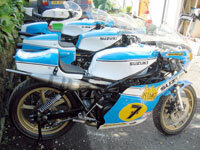 Above: 1980/79 Suzuki RG500 MK6/5 and XR14 in background. 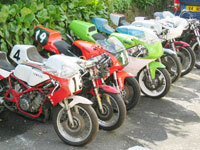 Above: Recently acquired collection of Yamaha TZs. 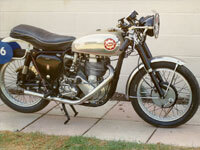 Above: BSA Gold Star 500cc ex-Fred Wallace Above: Egli Vincent 1000cc sold to UK collector. I was born into a world of racing motorcycles. 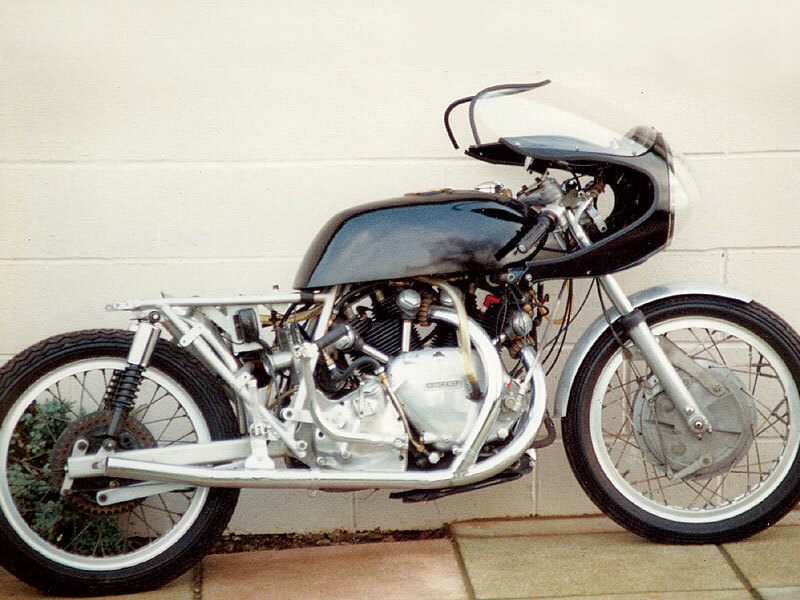 My late father was an avid collector of some of the best racing machines produced - from the 1907 Rem Fowler Norton which one the first ever TT racers at the Isle of Man to the supercharged Velocette Roarer. I started racing in 1972 aged 16 on a vintage Triumph and went to do some of the home international meetings on Yamaha TZs in 1978. 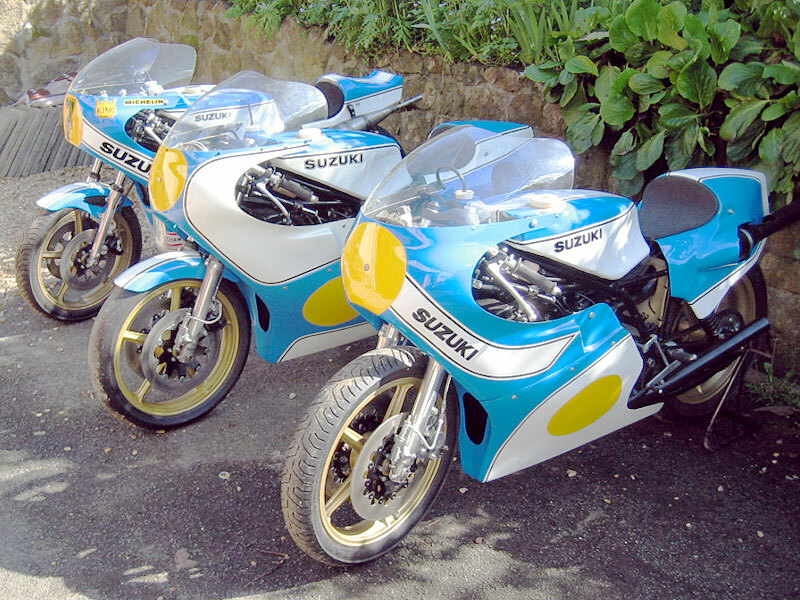 By the 1980s I started buying and selling racing machines from my era, specialising in those from 1960 onwards with a special interest in Japanese road & racing machinery. I began exporting machines to Japan and the USA in 1983 and I have since sold over 180 Honda Monkey Bikes back to Japan such as the Honda CZ100 and Z50M. I have also exported many twin cylinders such as the Honda CB92 125cc Benly Sport, CB72 250cc and CB77. My real passion has been racing machines. 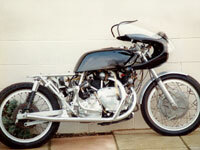 I managed to clinch a deal by locating a very rare Honda RC144 125cc 1960 twin cylinder factory machine - the only one ever produced - from an English collector that went to a good collector friend in Japan. 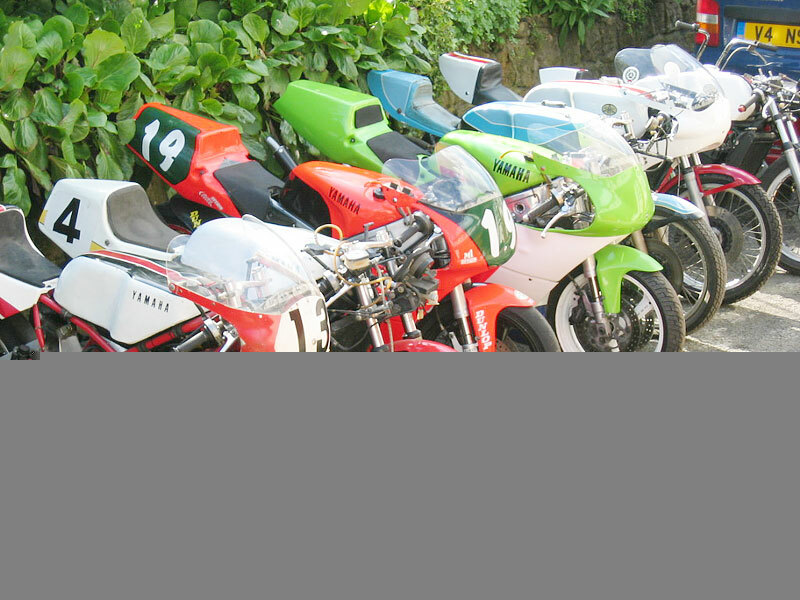 By far the most popular bikes have been the racing Yamahas. I have sold more of these than all the other machines put together. Export is the biggest part of my business with monthly trips into Europe - mainly Italy, the home of fine motorcycles and some very passionate collectors. Japan is my biggest region in the east and USA in the west. I have sent machines to most regions of the globe! I organise all shipping at cost to make your purchase easy. If it was made I will try to find it, I have collectors worldwide and I can help you to achieve your dreams by finding that special machine.